The Buddha grants pardon to someone who comes to visit him, and who has insight into his wrongdoings. 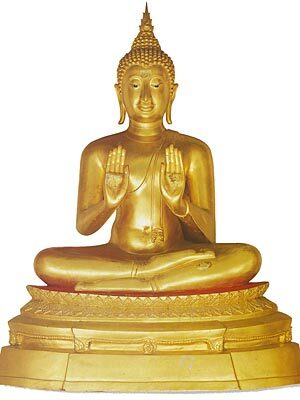 Many variants, such as standing Buddha with the palms of both hands outwards, and standing Buddha with either the right or left hand raised with palm outward. 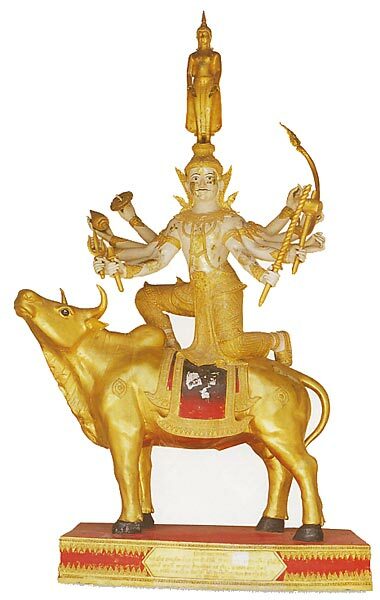 The Buddha image is on top of the head of Brahma, who is located kneeling on Banaspati. The Buddha takes a cloth from a decaying corpse. He skakes off the worms on it, and washes the cloth.